All parents are invited to come and listen to a panel of Elementary graduates as they respond to questions posed by the audience about "life after Montessori." 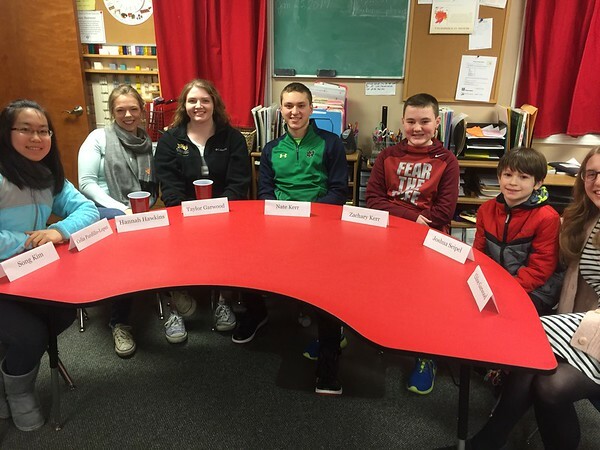 High school students, college students, and young professionals who graduated from the Elementary program at MSGL return to reflect on their experiences in Montessori. This evening was designed to answer questions about transitioning to more traditional academic environments following Montessori as well as the lasting effects of an MSGL education from those who know it best – our graduates. This event is open to the public but registration is required. Childcare is available to all current MSGL students and their siblings ages 2 to 9. The cost for childcare is $10 per child and includes age appropriate activities and pizza. Reservations MUST be made for childcare. Once you have signed your child up for childcare, you will be billed. Food and staffing are based on registration numbers. Childcare cancellations must be made at least 24 hours in advance of the event. Thank you for understanding. Please register online today. Deadline to register is Friday, February 22.